One of the rarest coins in Eastern Europe is a Romanian 2 lei 1901. 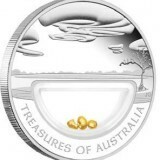 This coin, 27 mm in diameter and with a weight of 10 g of silver (83,5 %), has one of the smallest mintage for a circulated coin. 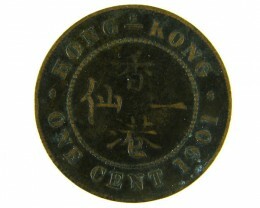 Only 11,000 pieces were minted and probably much less than this number were placed in circulation. On one side it depicts King Carol I of Romania, looking to his right and the legend CAROL I REGELE ROMANIEI (Charles I king of Romania). It wasn’t King of Romanians (Rege al Romanilor) because of the protest of Austro-Hungarians, who ruled at that time a province with Romanian population, namely Transylvania. On the back, the coat of arms of Romania is represented. 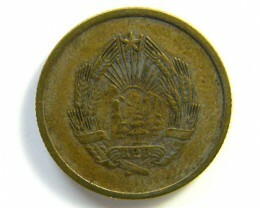 Up, it is written the name of the country and down the year of mintage. On sides, 2 and L appear, the abbreviation of lei (literary, “lion”). 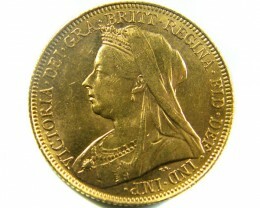 It was first issued like this in 1894 and in 1900, with small differences. 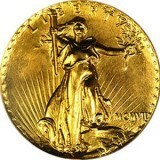 It was minted at the Hamburg mint and the engraver was A. Scharff, one of the best of his times. In 1901, it was decided to redraw from circulation the silver coins that did not correspond anymore with the weight standard (5 gr. of silver for 1 leu and 10 gr. for the 10 lei), especially the ones with holes, missing pieces and so on. A large quantity of coins minted from 1872 to 1885 was in this situation. 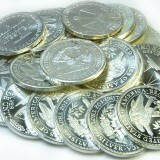 With the metal obtained, the National Bank decided to mint some new coins. The coins were 50 bani (18 mm, 2,5 gr silver) 1 leu (23 mm, 5 gr. silver) 2 lei (27 mm, 10 gr. silver) and 5 lei (38 mm, 25 gr. silver). It happened that the 2 lei had the smallest mintage of all. 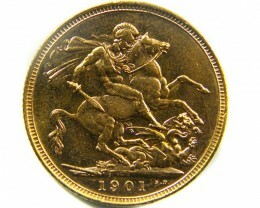 Because of this, the 2 lei 1901 is the rarest coin that ever circulated in Romania and one of the rarest in the world.